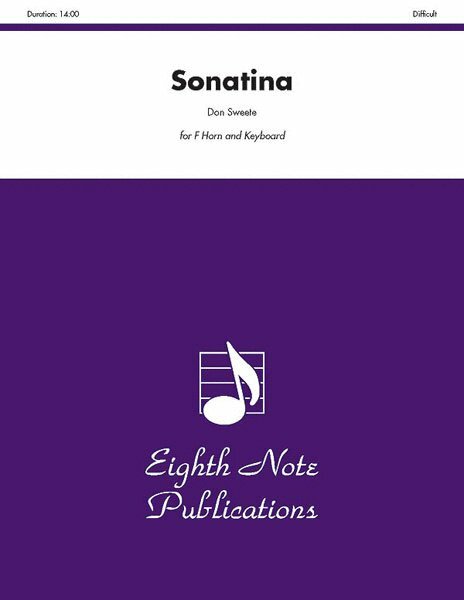 Sonatina is a powerful work for horn and piano. Composed for Derek Conrod, a horn player in Southwestern Ontario, this piece explores the range and colours of the horn. It is set in three movements and the technical requirements make this an exciting challenge for the professional performer. The lyrical writing is offset by sharp fanfare figures which provide interest and variety throughout the entire duration of the piece.